February is National Heart Health Month, an effort to increase awareness of heart disease, which is the leading killer of both women and men each year. Whether you’re worried about heart health or don’t really know where you stand, this is a good reminder to check in with your doctor. While genetics, age, and gender all impact your risk for heart disease, early awareness of potential concerns gives you the ability to address risk factors and improve your lifestyle before damage occurs. Knowing what causes heart disease and your own risk level is the first step in taking care of your heart. 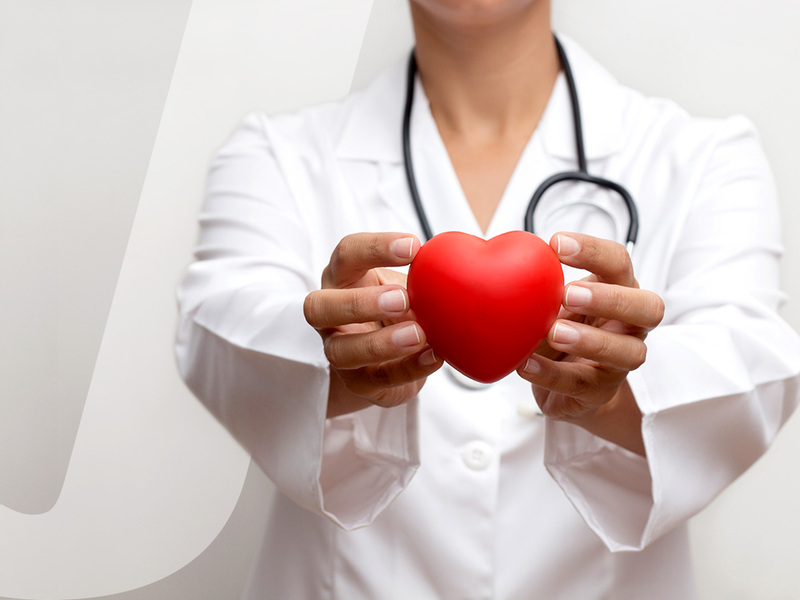 Schedule a visit with your doctor to screen for your heart disease risk. Your doctor will complete blood work that considers your cholesterol and blood sugar levels which can impact your risks of heart disease. Blood pressure of 130/80 or higher is concerning and needs to be treated through lifestyle or medication. Pre-hypertension of 120/80 or higher can be treated less aggressively, targeted through diet and exercise and regular monitoring. Cholesterol is comprised of three numbers, HDL, LDL, and triglycerides. While you are looking for a total number of 200 mg/dl or less, it is even more important to pay attention to the individual components. HDL is your good cholesterol that actually reduces your risk of heart disease. You want this number to be over 50. LDL increases your risk of heart disease and should be under 100 or less. Triglycerides should be under 150. If you want clarification on what your numbers mean, feel free to ask the doctor to go into more detail! That’s what they’re there for. Lastly, abdominal circumference is also an indicator of heart health. Belly fat leads to the development of high blood pressure, Type 2 diabetes, and risk factors for heart disease, the first few pounds of weight loss are the most important for your health. You can measure your abdominal circumference easily using a tape measure and want less than 35 inches for women and 40 inches for men. A loss of just 10% of your body weight or 1 inch of your waistline will greatly lessen the visceral fat of your abdomen. This is the fat that surrounds your internal organs and has the greatest impact on your overall health. If your heart risk assessment shows areas that may be increasing your risk for heart disease, there are specific steps you can take to improve your profile. Daily cardiovascular exercise and strength training will help to interrupt the metabolic resistance associated with excess abdominal fat, allowing you to lower cholesterol and blood pressure and to improve metabolism. Here are specific ways to reduce abdominal fat to improve your heart health. Smoking, high levels of alcohol consumption, and diet also impact cardiovascular health. While addressing these areas can be overwhelming, even small changes will positively impact your health. Prioritizing quitting smoking is a big deal when it comes to improving your blood pressure and cardiovascular function and is something your doctor can help with. While overhauling your diet can be overwhelming, identifying areas for improvement will still improve your health. Consider prepping fruits and vegetables on the weekends to give you easy, heart healthy snacks throughout the week. Emphasize protein and produce to crowd out processed and unhealthy convenience foods. Lastly, emphasize increasing heart healthy fats and foods in your diet. Maintaining your heart health doesn’t have to be exhausting. 30 minutes per day of moderate aerobic activity is sufficient to keep your heart in good shape. If your weight and blood pressure are already healthy and you just want to maintain, try walking on a treadmill, cycling, or taking ten minute activity breaks throughout your day. The level of intensity should increase your heart rate to 70% or more of your maximum heart rate. This will help you to maintain your existing weight and health. For weight loss and abdominal fat loss, include workouts of greater intensity, as well as strength training. Diet for long term heart health is similar to, but more forgiving than a recovery diet. Emphasize whole foods, including fruits, vegetables, and lean protein. Include sodium to taste if your blood pressure and cholesterol remain healthy. Try to focus on keeping your diet healthy 80-90% of the time and enjoying indulgences mindfully. While you don’t want to obsess over heart health, February is a good reminder to take this silent killer seriously. The American Heart Association and the CDC offer helpful resources and information. Remember that the warning signs of a heart attack vary and can look significantly different on different people. Check in with your doctor and work out a plan to adjust those numbers if they need some attention. It’s never too late to worry about heart health and take actions to lead a healthy life. keyboard_arrow_left What is Glycogen and How Does it Affect Athletes?